Images are subject to Copyright. Full Terms and Conditions of Submission and Use of Pictures can be requested. All rights reserved. 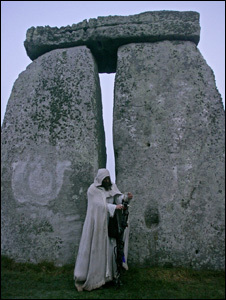 All images included herein this Internet Web Site publication are the copyright and property of the photographer and the text/design/html files are the property of The Stonehenge News Blog. All images and text are copyright in accordance with the terms of the United Kingdom’s Copyright, Designs and Patent Act 1988, and are protected under the United Kingdom and international copyright laws and treaties which provide substantial penalties for infringement. The images on this website are known as “intellectual property”. In law, they are hardly different from other forms of property (such as your computer), as the creation of images also requires personal skill, equipment, time and money. To take and distribute images without consent is a form of theft and is therefore illegal. The images on this Internet web site publication are not royalty free and a fee is required for each specific usage. All of the images have been visibly and invisibly watermarked so that they can be identified if used without permission, whether whole or in part. International law now permits substantial penalty charges for infringement of copyright. Unfortunately you may not use any of the images in your web pages without express written permission as this constitutes publishing the images and could conflict with the interests of our many clients. If, for instance, a corporation buys a picture for a specific purpose which conflicts with your website, then the corporation could take legal action against you. We have to say “no” in order to protect you and our clients.